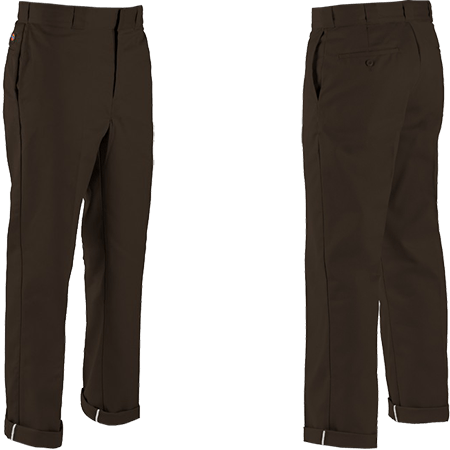 Choose Waist Size 30" 34" 36"
The Dickies 874 Flex Dark Brown Pants are awesome original fit, straight leg pant with a super comfortable flex to free up your range of movement when your getting rad at the skatepark or on the tools. They are wrinkle resistant so your always looking sharp and moisture wicking to keep your shredding in comfort when the mercury rises. A classic skate / work pant with style and steezy.